Are you familiar with the name FuzziBunz? One reason the FuzziBunz brand may be familiar is because they been around for so long! The company started in the year 2000 and FuzziBunz was the first company to patent a stay dry pocket cloth diaper! 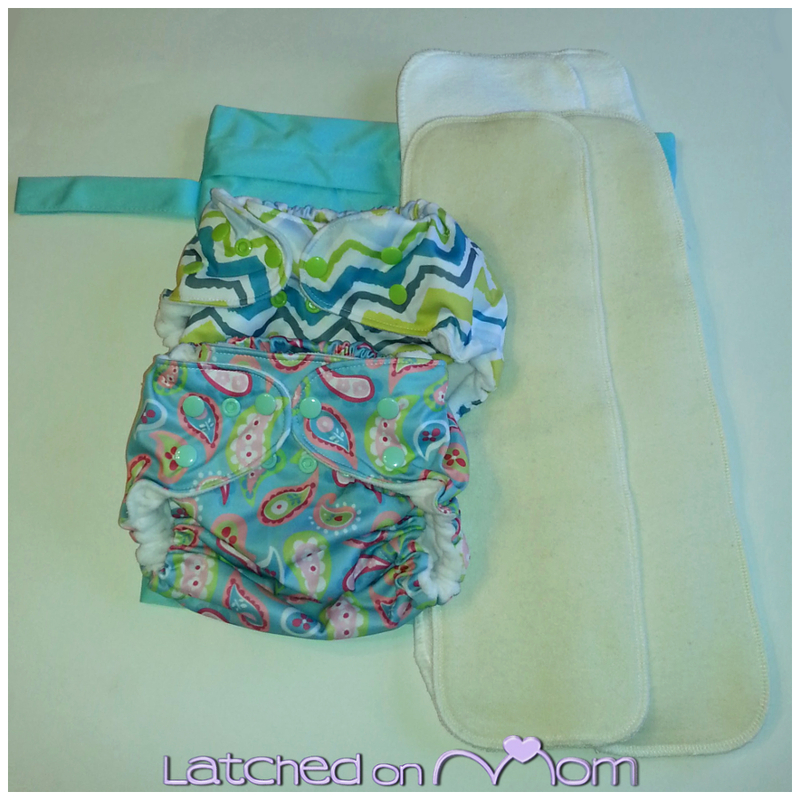 The pocket diaper design is one of the most popular styles of cloth diapers. You may also recognize this brand because they were on Shark Tank in 2012. 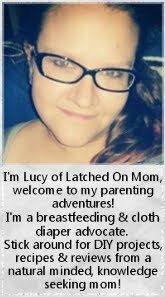 In the beginning of my cloth diapering days (late 2013), I was gifted cloth diapers by a couple awesome friends that were destashing. They sent me random brands and styles so I could try them and see what I liked. 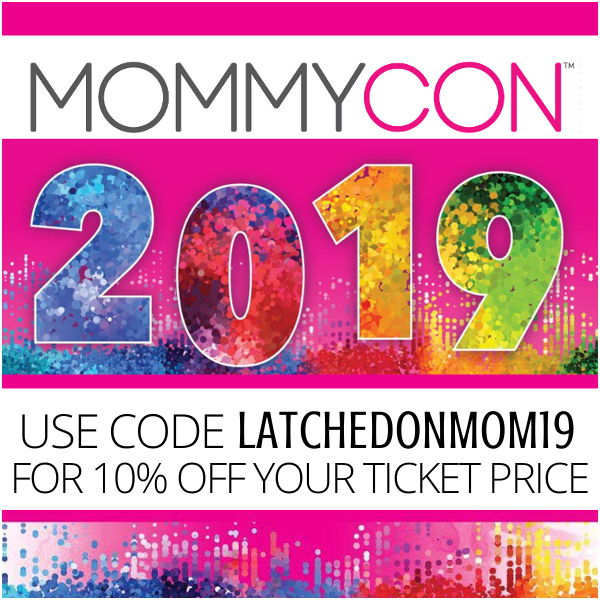 There was only one brand name of all that were given that I recognized- the diaper was a second generation FuzziBunz- their first one size and I had to take notice because it was so innovative with the adjustable leg elastics. 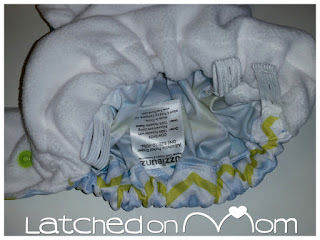 I used the hand-me-down (that was used with 3 kids) FuzziBunz for almost a year within a small rotation before turning it into a swim diaper. I find it incredible that this diaper made it through 4 children! FuzziBunz has continued to grow throughout the many years- with several different cloth diaper styles available to accommodate every parent and/or caregiver's needs. 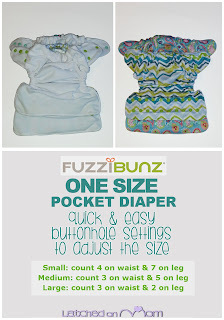 The FuzziBunz One Size Pocket Cloth Diaper is the adjustable style and is what I am reviewing. 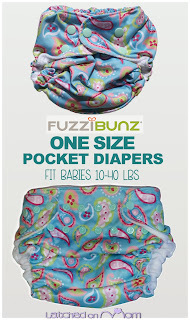 Other FuzziBunz sizes are available which FuzziBunz has named the Perfect Size Diapers. These sizes are meant to be tailored to different ranges to create a true perfect size depending on your needs. 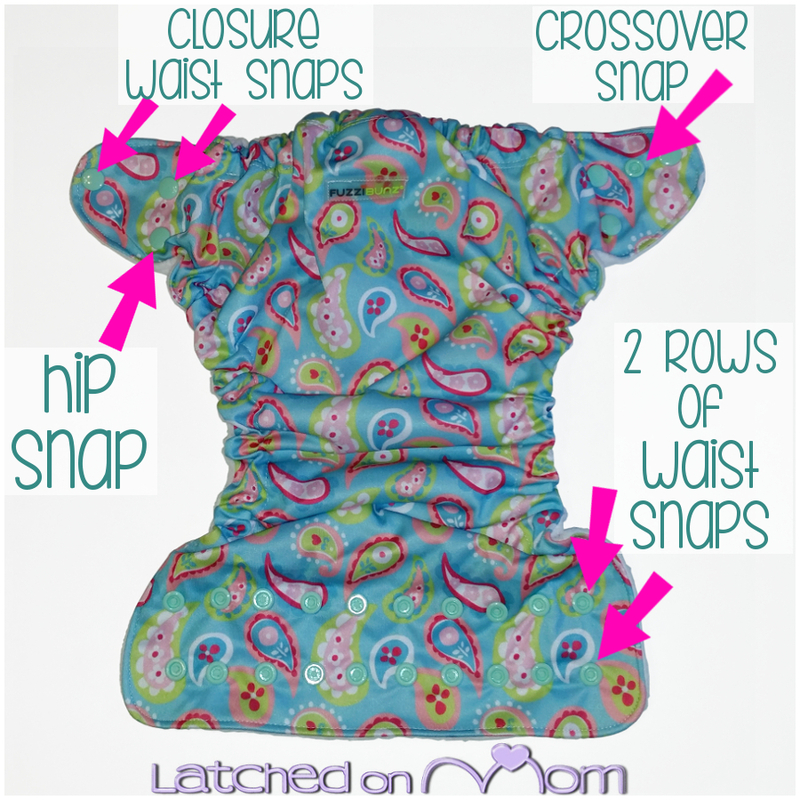 The XS (extra-small) fits 4-12 lbs, Small fits 7-18 lbs, Medium fits 15-30 lbs and the Large fits babies over 28 lbs. The two prints in this review are called Playful Paisley and Chevron, however there are many other gorgeous prints and solid shades to choose from. FuzziBunz was kind enough to send me the products pictured in this post to help facilitate this review. 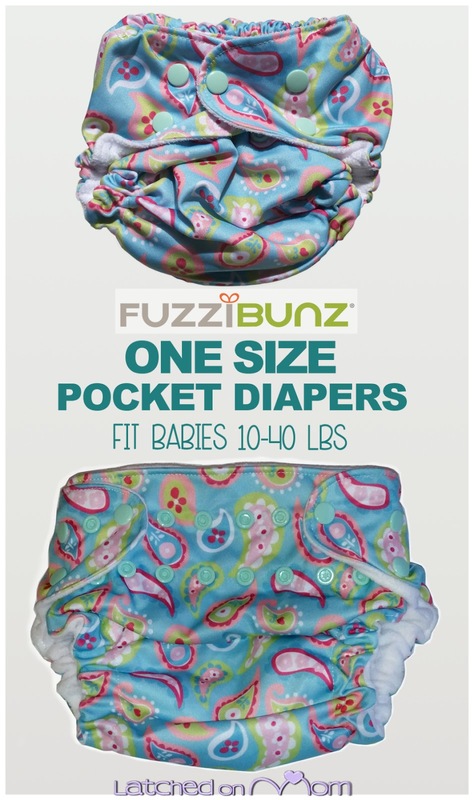 FuzziBunz One Size fit babies 10-40 lbs or approximately 3-36 months. One feature that makes this diaper simple to use is the adjustable elastic called FuzziBunz Fantastic Elastic that is in the legs and back side of the diaper. Instead of fiddling with rise snaps to change size, the elastics have buttonholes throughout the entire string of elastic that are fastened by buttons within the seams- inside the microfleece lining and the PUL (polyurethane laminate) layer. To create the right size, you unbutton it, then pull and secure again to the button. The same goes for the back elastic- to get a more tighter fit around the waist. There are no numbers or marks to determine certain sizes, so you need to count each buttonhole to make the fitting of the leg elastics equal. I admit that at first, I had a hard time getting everything sized perfectly, but FuzziBunz has a video with a sizing guide HERE that helped me figure it out. I created a graphic for a quick & easy reference, too! The FuzziBunz Fantastic Elastic truly is a feature that makes the elastic easily replaceable with a FuzziBunz Elastic Replacement Kit if they become worn out. FuzziBunz does offer a warranty, too. They really care about providing quality cloth diapers and helping their customers cloth diaper successfully. 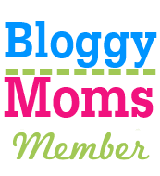 The website is very user friendly, you can find everything you're looking for with detailed information on their products as well as tips on cloth diapering. Inside the diaper, you will see the super fluffy and soft 100% polar microfleece lining that goes against baby's skin, wicking moisture away and keeping baby dry. The stay dry fleece is actually the whole concept that helped originate the FuzziBunz brand! This fleece repels stains and odor as well, making it easy to clean. This material has some stretch, too- which makes a generous opening to stuff inserts in the pocket. The outer shell material of the diaper is 100% polyester lined with PUL. 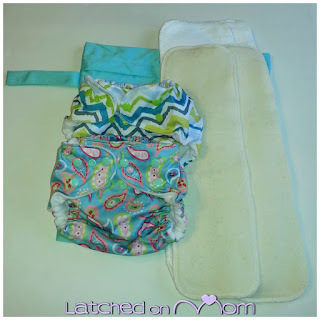 There are two rows of waist snaps across the tummy panel of the diaper and one row of waist snaps on the wings. 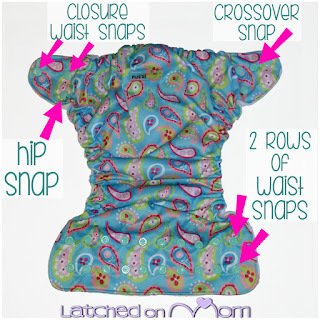 There is also a hip snap and a crossover snap that gets the diaper to the smallest possible waist setting (see first image in post for example). 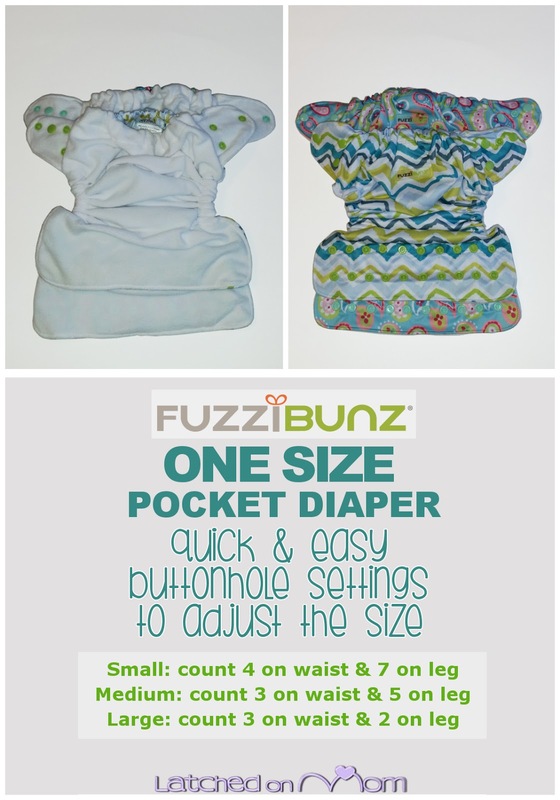 With your FuzziBunz OS Pocket Diaper, you will need an insert. There are several options for absorbency. You can go with the FuzziBunz Organic Inserts that are GOTS certified and composed of 6 layers of a Cotton/Hemp blend or you can go with the FuzziBunz Microfiber Inserts that have 4 thirsty layers of microfiber terrycloth. 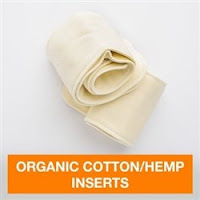 I prefer to use just the Organic Insert by itself, but if I know that it may be a little while til we can get to the next diaper change (long car trips for example), I'll add in the microfiber insert for an extra boost of leak-proof protection! 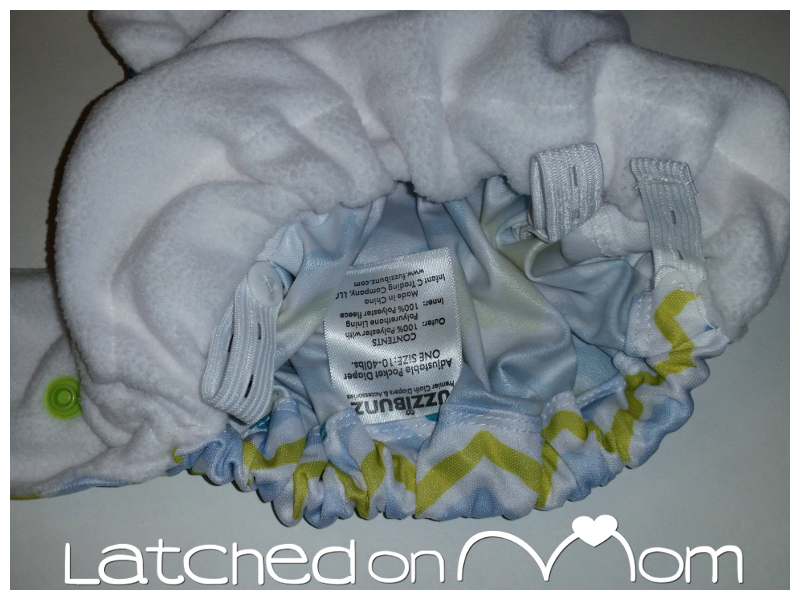 One more product that is a necessity is the FuzziBunz Wetbag! 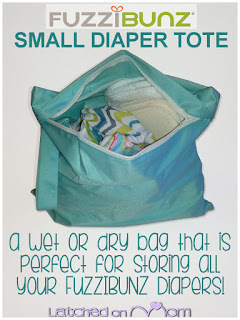 The FuzziBunz Small Diaper Tote in this review is a beautiful blue coordinating color called Calypso! This zippered wet bag can fit 4-6 cloth diapers and has a handy strap to hang wherever you need to toss the dirties! Save the image below on Pinterest! Here are a couple photos with BOTH the Organic Insert and Microfiber Insert added in. My daughter was one year old and 23 pounds in these photos. I really like FuzziBunz and feel that they work well. My daughter is on the more slim side and I don't feel that they are too bulky on her frame- even double stuffed! We used these on the trip to and from Chicago with no issues and we haven't experienced any leaks using them. I will continue using them until my daughter is potty-trained. 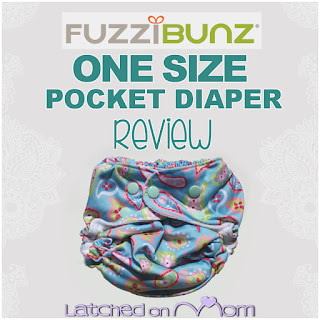 What's my favorite thing about the FuzziBunz One Size Pocket Diaper? FuzziBunz is a brand that's been around since I was in High School! How awesome is that? They are tried & true among parents and caregivers and a brand to recognize! 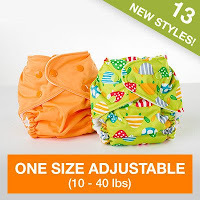 The adjustable elastic system that is replaceable is a feature that makes this diaper exceptional! I personally prefer natural fibers against baby's skin instead of synthetics. It would be super cool if there was an organic bamboo fleece option for inner lining. I also would like if the inside tummy panel had a PUL strip, I think it makes it a more clean appearance and just adds a little more protection from leaks traveling upwards. 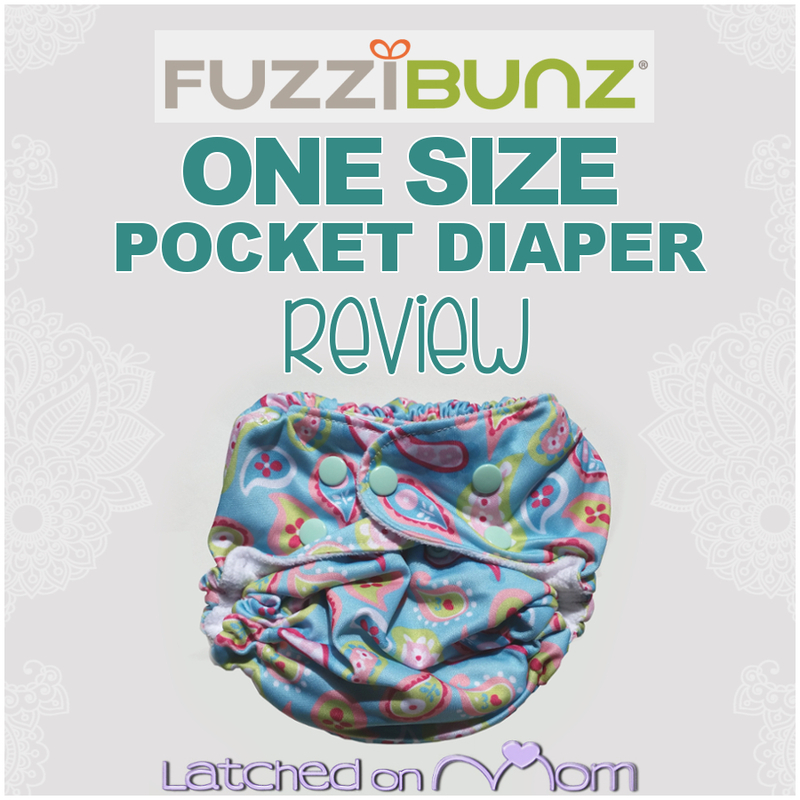 I give the FuzziBunz One Size Pocket Diaper a 9/10! Go check out the FuzziBunz website and don't forget to LIKE FuzziBunz on Facebook, FOLLOW on Twitter & FOLLOW on Instagram! Leave a blog comment below sharing if you're familiar with FuzziBunz and what print is your favorite! We have a few (very) old sized Fuzzibuns from before they introduced the one size style-- the fit in those is great, even if they haven't held up the best all these years. I love the Woodsie print! We need to try their OS style! Commenting on your review! I havnt tried this brand yet but really want to! I love the super cute designs and the fact that they have cross over buttons!! I haven't tried FuzziBunz but would love to! My favorite prints are peacock and woodsie! I used to love fuzzibunz when my now 7 year old was in diapers! Back then, there were no prints. I loved the black ones I had! !